One of the most important things about buying used clothing wholesale is being sure that you are getting consistent quality at any grade. Texx Team's twenty years in the industry have led us to pinpoint the key aspects to delivering exactly that. 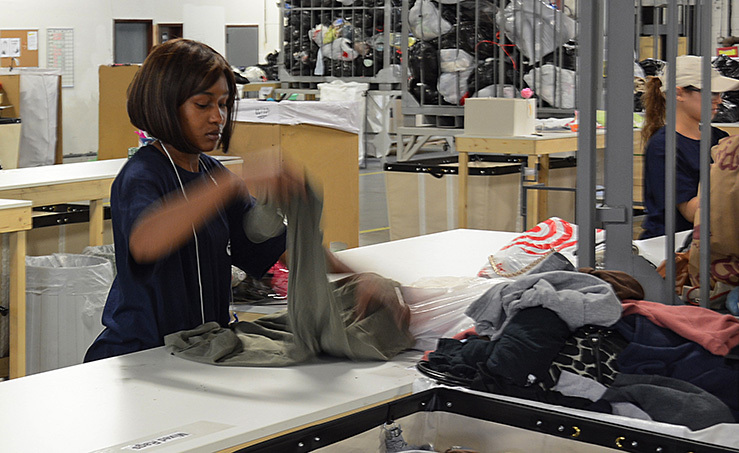 Quality, experience and an eye for detail when it comes to sorting the clothing that we collect are critical. Every member of our team is extensively trained and experienced. Plus, so that we know we are starting from the best possible position, we only work with the most reliable suppliers in the industry. This ensures that the clothes which come to us for sorting are of a quality we know we can rely on. Primary sorting - this initial step in the process of receiving clothing takes place on conveyor belts to improve efficiency. Fine sorting - the fine sorting phase is done by hand to ensure accuracy. Goods are separated by both quality and season. Re-sorting - clothes which straddle the line between categories are assessed by experienced supervisors and then re-sorted. This three level process is designed to guarantee that we can provide our clients with the most reliable standard of used clothes - whatever your objectives mean that standard needs to be. If you ever need to know more about our sorting process, get in touch with us now. How much used clothing do we sort for wholesale purchase? What makes us different to other second hand clothes suppliers? Over two decades of experience sorting and trading used clothing puts us ahead of most other second hand clothes suppliers. 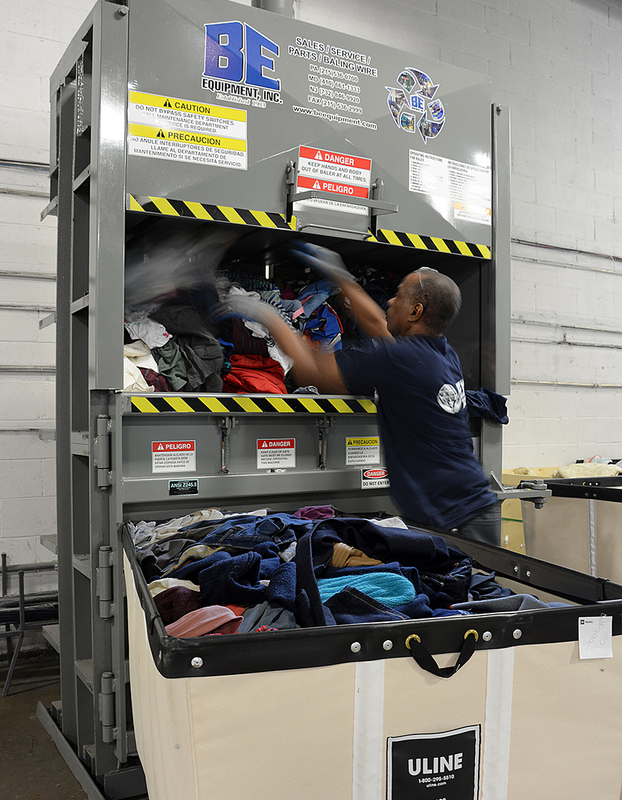 Our veteran sorting specialists take care of the precise and uncompromising separation of the various qualities and seasonal garments which we receive. Whenever we take someone new on board our closely knit team, they are closely monitored to ensure they know the exact criteria by which we sort our products. With more than 250 articles of various grades being sold to clients in Europe, the Middle East, Africa, Asia, the Americas and beyond, a set quality of item and reliability of service are absolutely vital to what we do.